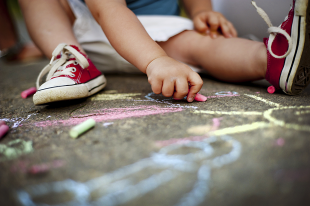 On Monday, 29 August, accountancy firm Moore Stephens issued a report claiming the number of nurseries closing down has risen in the past year because of the cost childcare and the introduction of the national living wage. The story was picked up in the Times, the i, the Daily Mirror and City AM. We are supporting the continued growth of the childcare sector by creating a system that provides the affordable, high-quality childcare families deserve. The government is transforming the way early years’ education is funded. We want a fairer system that provides the affordable, high-quality childcare families deserve. We will be investing a record £6 billion on childcare by the end of this Parliament and we have published plans for a fairer funding system for nurseries and preschools. Furthermore, we are raising the bar and making a significant investment in the early years sector, working closely with the profession to raise its status – as a result the numbers of qualified staff have risen, the number of graduates in the workforce continues to rise, and a record number of providers are rated Good or Outstanding. On Monday, 29 August, the Joseph Rowntree foundation issued a report claiming five million adults are lacking the basic reading, writing and numeracy skills essential to everyday life and finding work. The story was reported in the i, the Telegraph, the Daily Star and the Express. However, the coverage fails to recognise the extent of the investment we are making to support lifelong learning. The figures in the report were first published four years ago, in 2012. Everyone, regardless of background or ability, should have the opportunity to reach their full potential. That’s why we have strengthened the national curriculum to ensure all children leave school having mastered the basics in literacy and mathematics early on. Alongside this our new gold standard qualifications and high quality apprenticeships will match the best education systems in the world and keep pace with universities’ and employers’ demands. To support lifelong learning and ensure we have a workforce with the skills to succeed we are investing £1.5bn in adult learning, have introduced tuition fee loans for part time students and published a dedicated skills plan so that more people gain the knowledge and skills to get on in life and help build a stronger country. The Mail on Sunday ran a story on 28 August about fire safety in schools, criticising the change to the requirements for sprinklers to be fitted in new schools. We are absolutely clear that sprinklers should always be fitted in new school buildings where required by fire safety legislation, and where a fire risk assessment shows that a school is high risk. We consulted with the Chief Fire Officers Association before implementing the changes and the safety of children is an absolute priority. Children’s safety is paramount, and we are clear that sprinklers should always be fitted in new school buildings where required by fire safety legislation, and where a fire risk assessment shows that a school is high risk. This policy is absolutely in line with the latest fire safety advice. In revising the Fire Safety Design for Schools guidance, consultant fire safety specialists were used and the draft was reviewed and quality assured by the Building Research Establishment. Our consultation on the draft received a good response, including from the Chief Fire Officers’ Association and a number of fire and rescue services, whose comments we will take into account before publication.